I bought this domain name (93coupe.com) years back because I thought it would be neat to have the me at 93coupe.com email address. Of course, it refers to my 1993 Mustang Coupe which I purchased (for the first time) from the original owner in 2003. I made some changes to the car at the time and sold the car in 2005. I regretted selling it instantly and 5 years later, I bought it back. The previous owner disassembled the car and that’s how it was returned to me. One good thing is that the owner had some good plans for the car and had purchased some high dollar parts, like a Dart based 331 engine and Vortech supercharger. I’ve since sold the 331 engine, supercharger and other parts that didn’t fit my plans. 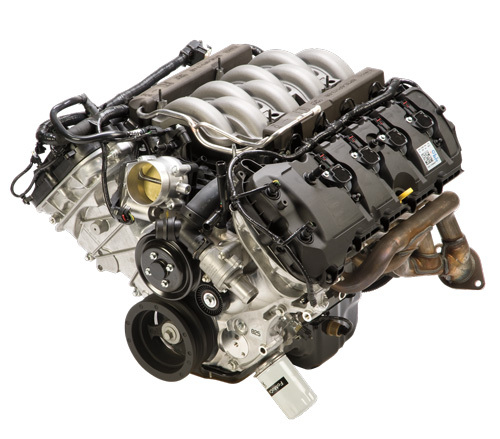 I’m going to be installing a 2012 5.0 Coyote engine along with many other performance upgrades. It should be a coupe like no other! I’ll use this site to document the re-assembly process, along with some interesting modifications. Maybe 2-3 people will check it out and hopefully gain some useful knowledge. I’ll also include other Mustang news that I consider interesting, so get the RSS feed! Excellent build and excellent visual guild to what your accomplishing. Awesome plan. I would love to do something like this someday as well. I will be following.